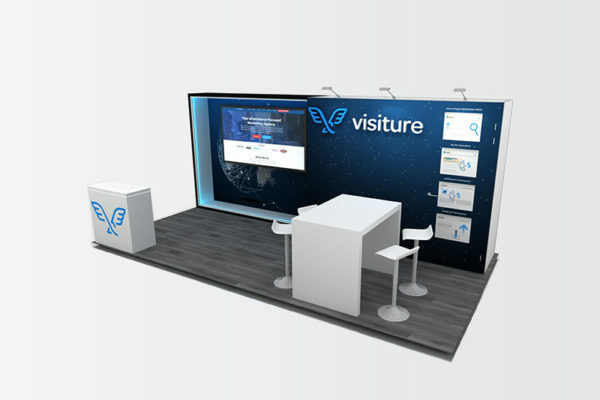 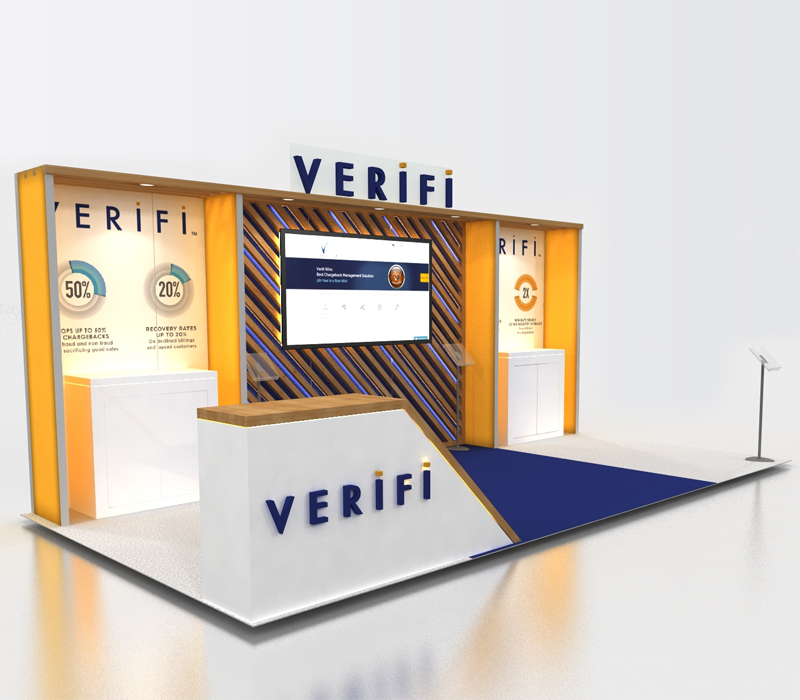 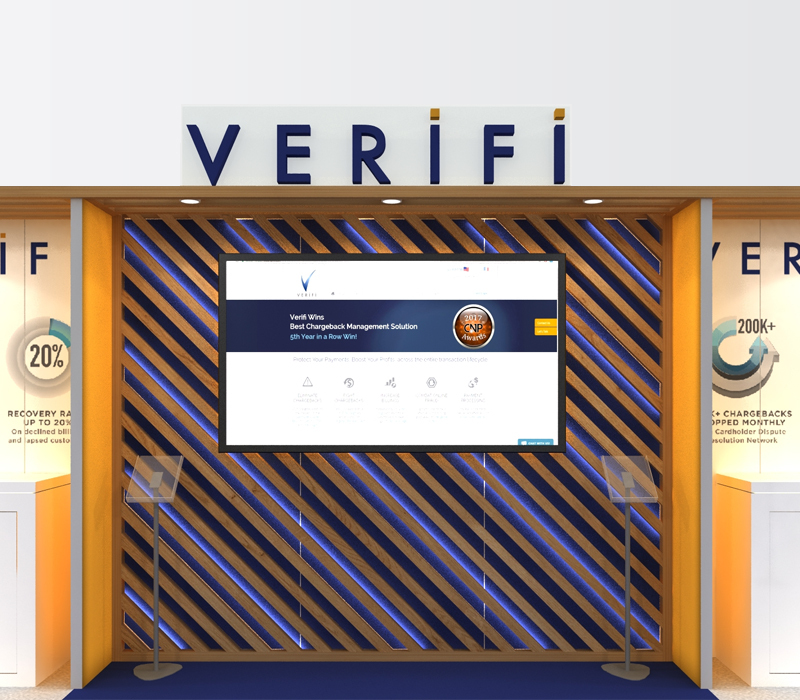 Create a one of a kind display with this Verifi booth. 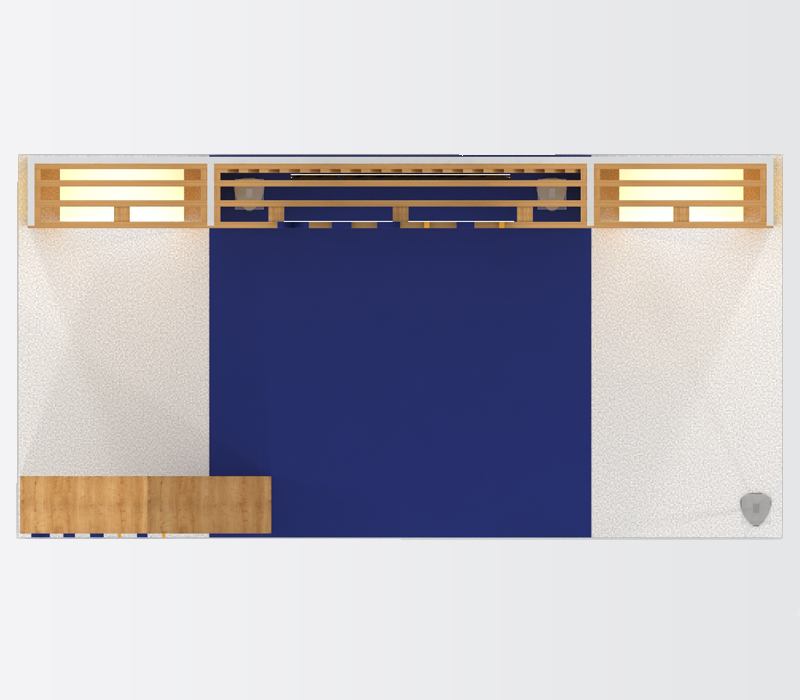 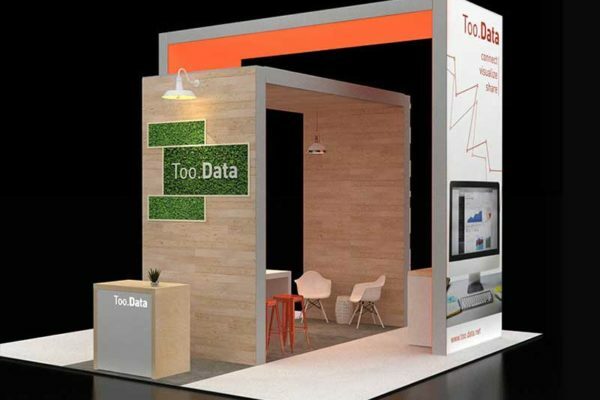 This inline trade show exhibit includes a mixture of elements like aluminum and wood frame structures. 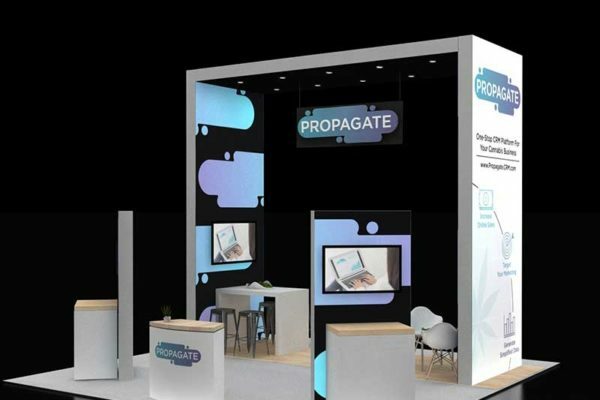 The backwall of this custom wood trade show display can be internally lit - making this booth stand out even more on the trade show floor. 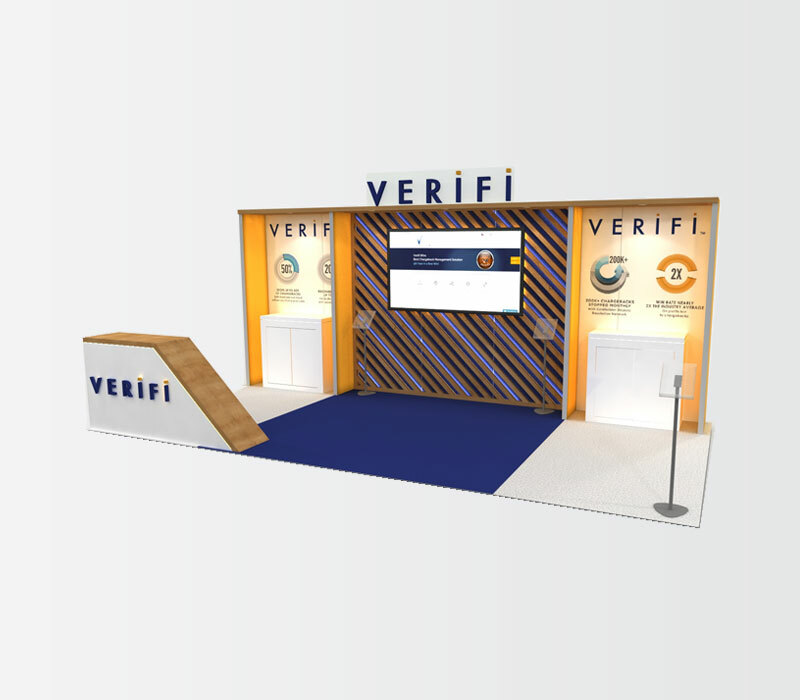 Custom elements in this booth include flooring, graphics, 3D logos, and custom made reception counter.